Signed, sealed, and delivered? In your busy warehouse, shipping and receiving is challenging, especially if you deal with a lot of freight. 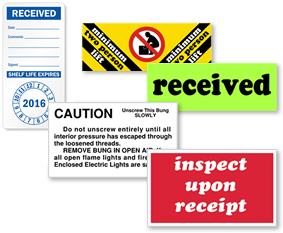 Use affordable receiving labels and tags to track what goes in and out, and what condition it's in when it gets there. • Reduce errors and save time spent on itemizing shipments. • Choose from regular paper labels, bright fluorescent labels, and multi-part cardstock tags. 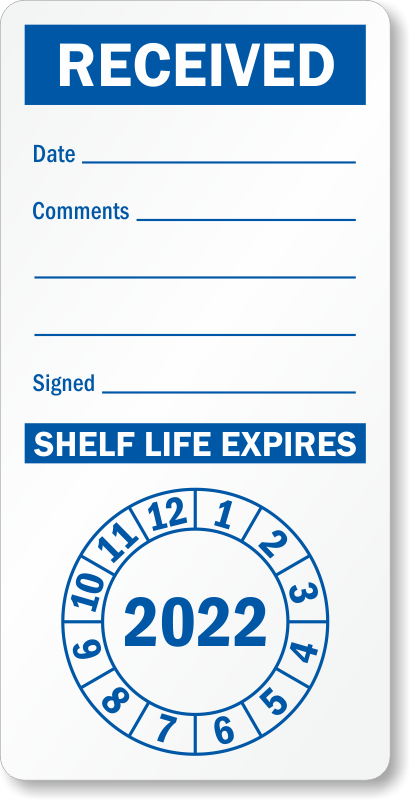 • Fill in important details on receiving labels and receiving tags with a pen or marker. 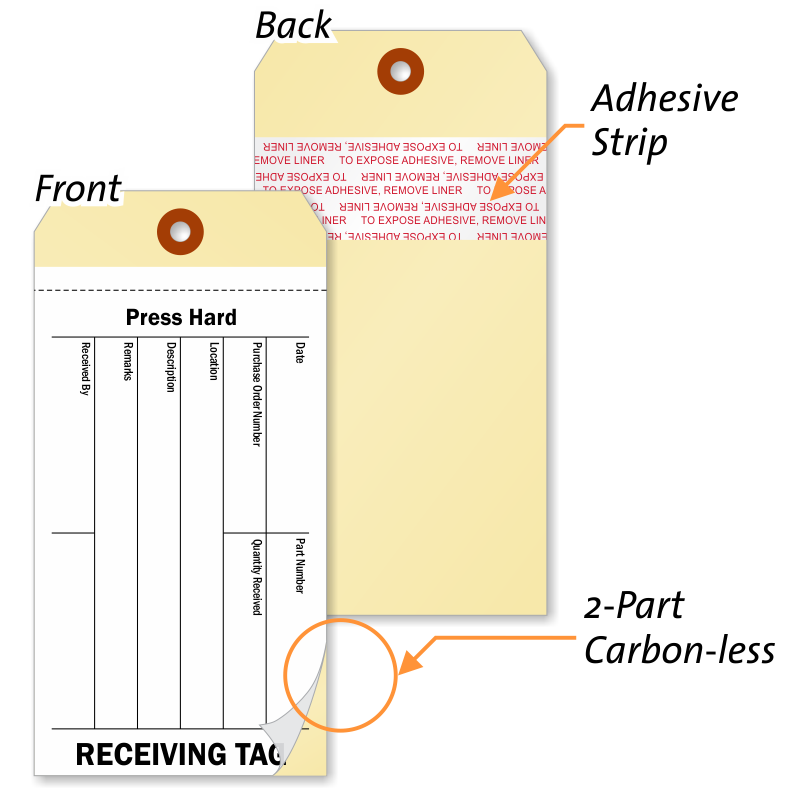 • Create carbonless copies of your shipment with 2 part receiving tags. • Labels stick well to corrugated cartons, plastic, wooden boxes, and shrink wrap easily, thanks to a strong adhesive backing. Tags come with an adhesive strip. Keep your organized warehouse running smoothly with highly visible Shipping and Receiving Signs.